The Honda Jade lands directly at #79 this month. This month no less than 7 all-new nameplates make their appearance in the Chinese Passenger Car ranking, 6 of them Chinese. While the Honda Crider is currently 2013’s most successful launch, ranking #26 in September with 13,754 sales, another Honda is the most popular all-new model this month, landing directly at #79 with 6,157 units sold. It’s the most impressive new arrival in the country since the Kia K3 hit #63 in October 2012 (ranking) and since the Hyundai Elantra Langdong sold 11,613 units for its first month back in August 2012 (volume). 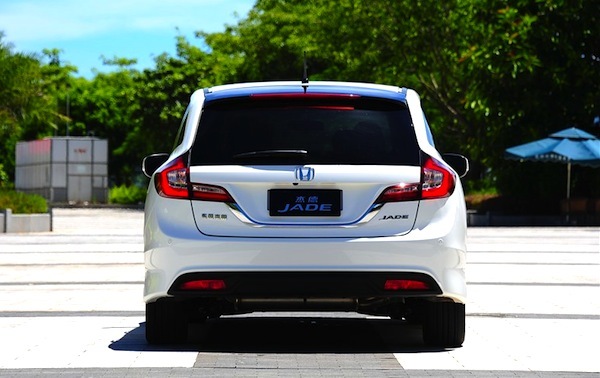 Marketed as ‘sedan avant garde’ locally, the Honda Jade is in fact based on the Stream and prefigures the 2015 Odyssey. It’s a blend of station-wagon and MPV, a segment much favoured in Japan but which has not had much success here until now. 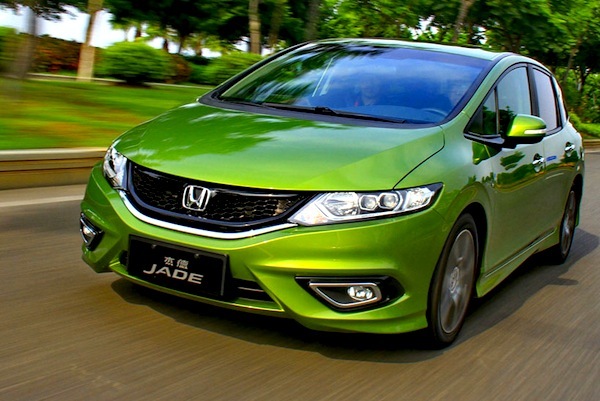 The Jade, starting at 149,800 yuan (US$24,600), is therefore a calculated bet for Honda, and one that already seems to have paid judging its high September volume. The Jade will easily break into the Top 50 in the next few months and a long-term Top 30 ranking is not out of reach. Just as Chery is deleting most of its brands (Rely and Riich were killed earlier this year), it is creating new ones (Qoros) as well as new sub-brands! Did I hear anyone cough streamlining? 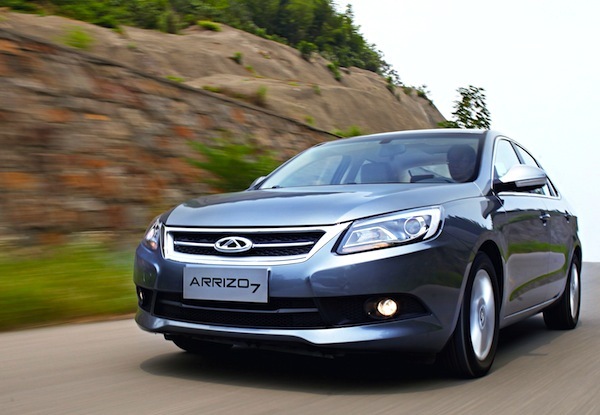 This month Chery launches the first of a new range of Arrizo sub-branded vehicles, the 7, with an upcoming small sedan (3) and SUV being next. The Arrizo 7, formerly known as the Chery A4, starts at 78,900 yuan (US$13,000) and already sold 4,000 units in September to rank at #117. A very fine start which however seems to be an estimate, so the next few months will tell us more about the model’s performance. It’s a bit of a blank page for Chery with a slightly more classy sub-brand, so hard to predict long-time prospects. Chery has great expectations for the E3. Back in the ‘core’ Chery range, we see the arrival of the E3 this month at #135 with 3,156 sales. The E3 follows Chery’s new naming convention and sits sits between the upcoming E2 and E5. It starts at 52,900 yuan ($US8,700) and competes with cars like the Great Wall Voleex C30, with the cheapest foreign model in the segment starting at 70,000 yuan (US$11,500). Judging by the amount I saw outside the Chery dealership I visited in Beijing, its objective is potentially a Top 30 or Top 20 ranking, which will be a tough gig to achieve given there is no automatic available which will limit the its appeal among first-car buyers. 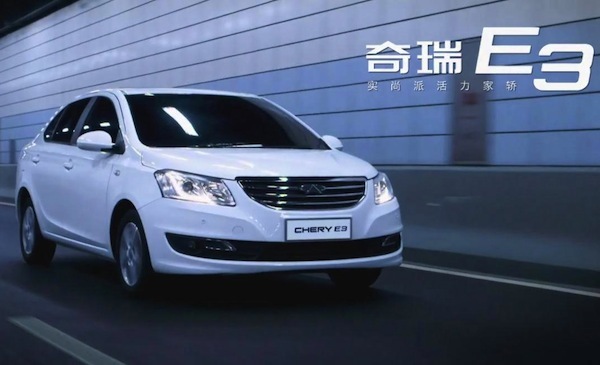 While Chery’s range continues to be relatively convoluted, Lifan has done simple: it has renamed its 320, 520 and 620 passenger cars to 330, 530 and 630 for the 2013 model year, even though these are merely facelifts. But the -20 models will continue to be sold alongside. Not so simple after all. The 530, starting at 51.800 yuan (US$8,500) is the only one of the group to be an all-new model. After a false start in the ranking last January, it lands at #191 with 1,332 units this month which is an excellent performance given the 520 currently stands at #205 year-to-date. According to Carnewschina.com, Lifan cars are designed to appeal to elderly buyers living in third and fourth tier cities, a huge market of over 300 million people looking to buy their very first car. 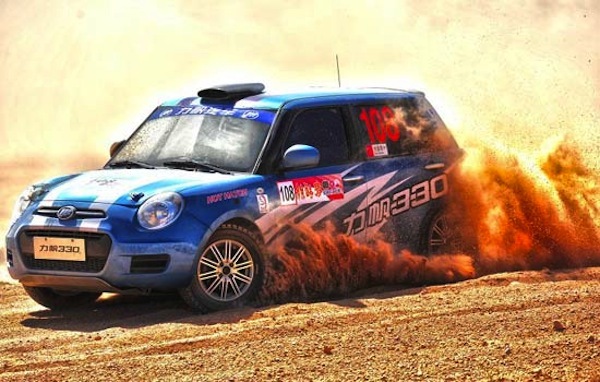 At #222 with 749 sales we have the all-new Lifan 330, marketed as a slightly more up-market version of the Mini-inspired 320 with a price starting at 39,800 yuan (US$6,500). Lifan designers have added a dose of Fiat 500L on top of the Mini cues. Note the 320 currently ranks #154 year-to-date. At #225 with 654 sales this month we have the Lifan 630, complete with its Infiniti-inspired grille and LED lights in the bumper. 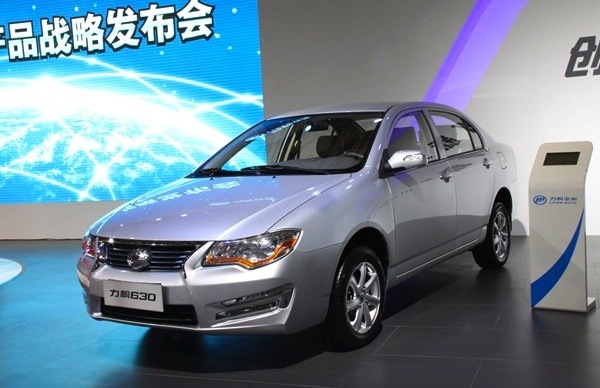 The 630 is priced from 54.900 to 65.900 yuan (US$9.000 to 10.800), making it one of the cheapest small sedans money can buy on the Chinese auto market according to Carnewschina.com. As a reminder note the Lifan 620 is #132 year-to-date. I expect all -30 models to rapidly lodge rankings above their -20 counterparts. 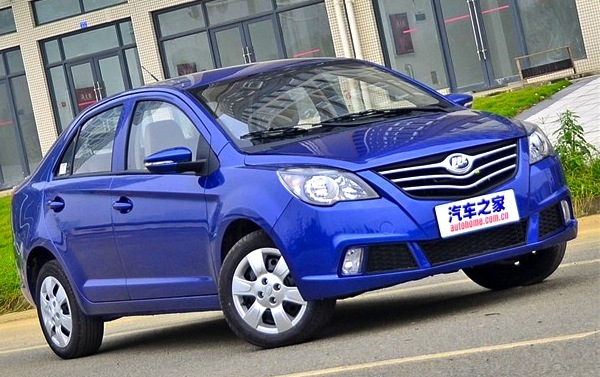 The Zotye Z100 starts at US$3,900 in China! 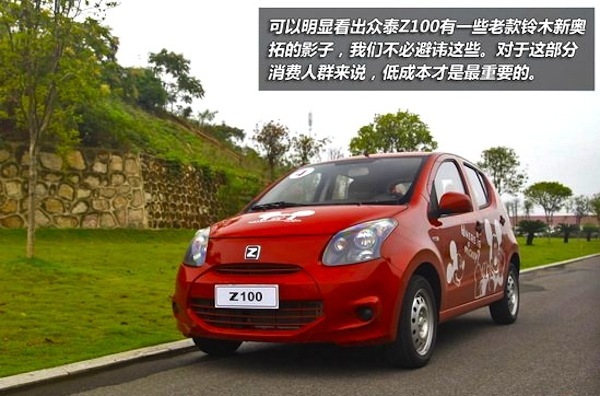 Zotye is another local carmaker that has cut to the chase when it comes to model-naming: this month the Z100, a shameless copy of the current generation Suzuki Alto priced at 23.800 yuan (only US$3.900! ), arrives at #242 with 478 sales. It’s the latest addition to the Zotye range along with the Z200 and Z300 passenger cars and the T200 SUV, formerly known as 5008. Zotye still makes a legal clone of the 2nd gen Alto called the Jiangnan TT but does not have the rights to the current Alto. Its extremely attractive price coupled with automatic availability could allow it a Top 100 spot soon. For comparison, the Chery QQ is at #37 YTD but only #71 in September, the real Suzuki Alto is at #82, BYD F0 at #91 and ChangAn Benben Mini at #94. 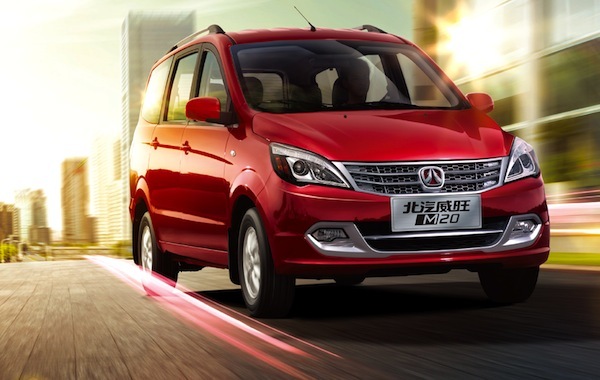 Beijing Weiwang M20 sales are up 136% on August. Finally let’s touch on the few launches from the last couple of months that are improving in September: while the Honda Crider (#26) and Ford Mondeo (#51) are already off the charts, notice the Brilliance H330 gaining 38% on August to #90, the Dongfeng Fengguang continuing its steady progression at +29% but remaining #102, the Luxgen 5 Sedan up 59% to #166 and the Beijing Weiwang M20 up 136% to #195. September post: China September 2013: Discover the Top 313 All-models ranking! More analysis and full September 2013 Top 313 All-models Ranking Table below. previous post: China 9 months 2013: Discover the Top 335 All-models ranking! next post: China September 2013: Discover the Top 313 All-models ranking!